​KUT 7 members, Ksenia, Tijana and Claudia facilitated 5 sessions of Summer Art Camp at Parliament Street Library. Participants worked as a team to create a story using theatre, music, masks and props. They performed the collaborative story for family, friends and their community of Cabbagetown. The performance was followed by a celebration with pizza and other refreshments. Tijana, Evan and Ksenia facilitated 5 days of free arts camp during the March break. Sessions were held in the community room at Brentwood Library, where participants engaged in visual and performance art-making. Claudia, Khadija and Tijana were delighted to facilitate 4 days of creative arts programming at Albion Library; combining visual journals, sketchbooks and the Machine of Kreativity to produce collective stories. KUT 7 members, Evan, Ksenia and Lisa, facilitated 4 sessions of free arts camp during the December break at Richview Library; combining dance, drama, music and visual arts to carry-out the storytelling process. 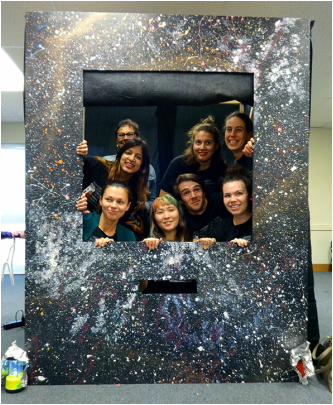 ﻿The Kreativ U-turn team at Arts Etobicoke was delighted to offer its community programming dedicated to the creative process and expanding the imagination. Claudia, Tijana and Ksenia, along with KUT mentor Nancy Newton, facilitated the program in the gallery space of Arts Etobicoke and surrounding community of the Islington Village.